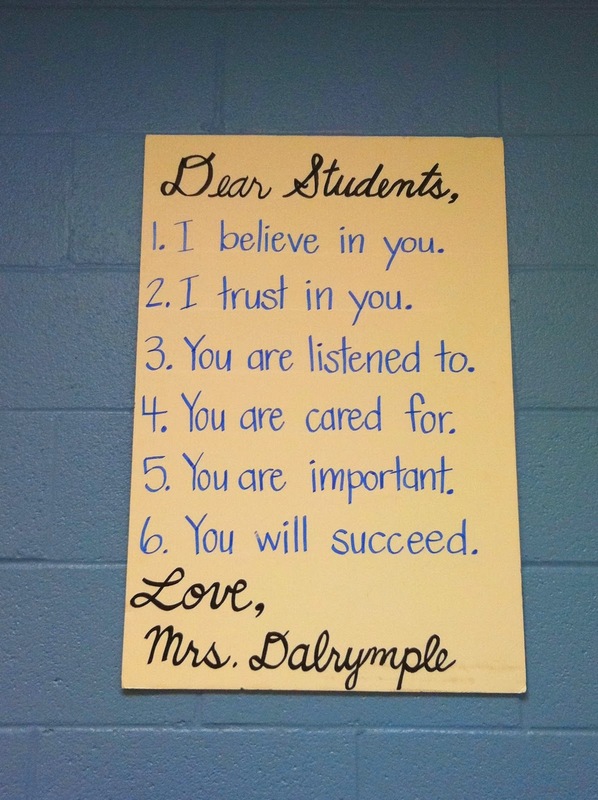 I see this “classroom letter” posted a lot on teachers’ Pinterest boards (and in their classrooms). It’s a beautiful message, and I think we can all agree that it is important to help children feel safe, supported, and encouraged in their classrooms. But what if we wrote this very same letter to the parents we serve? I believe that you will find strength and skills you never knew you had to help your child succeed. If you are having trouble believing that right now, I will hold on to that hope for you until you’re ready to believe it yourself. I believe that you are doing your best for your child… even when things aren’t going well. When I’m disappointed, I choose to believe that if you could do better, you would. You didn’t have your child wear their hearing devices all waking hours? That stinks, but I’m not going to label you a villain and think you deliberately chose to sabotage your child’s auditory brain. I have to ask myself, “What else is going on in your life that is preventing you from doing this?” Are you paralyzed by grief and stress? Do you not understand the importance (in which case, that’s on me — I need to explain it better!)? Are you struggling to keep food on the table? Do you need help managing your child’s difficult behaviors? Let’s troubleshoot together! I believe in you, and I believe in your child, and I believe in us as a team. We can do this if we do it together. Parents, I believe in you! I trust you when you tell me what your child is doing at home, even if he clams up and refuses to show off his new skill during the session. We’re partners. We have to trust each other. In return, I hope that I’ll earn your trust and that you’ll trust me that I know what I’m doing and I have your and your child’s best interests at heart. Parents, I trust in you! Auditory Verbal Therapists help children learn to listen, but if we really want to be effective, we have to become excellent listeners ourselves. Parents, I am listening to you! I specialize in AVT and have worked with many, many children with hearing loss. This gives me knowledge of AV theory and techniques and experience with a wide variety of children and families from which to draw. But you are also an expert on your own family and your own child. That is no small thing! I can help give suggestions of what has worked for families in the past, but you have a better guess than I do about which of the options might work best for your particular child. I need your input! I must ask truly to gather information… not to “test” you, the parent, or trap you with a trick question. I must be willing to take honest feedback. The answer might be, “She didn’t really seem to like anything today.” Ouch! That can hurt. But a good therapist must be willing to hear it and open to adaptations. I often think about what it would be like to be a parent of a child with hearing loss. Though we can never really know how another person’s life feels (and each parent of a child with hearing loss also has their own unique reaction, experience, and story), I try to empathize with how disempowering it must feel. Raising a child is hard enough, and then you’re thrown a gigantic curveball like hearing loss. Years down the line, you might be able to look back and say, “We made it. He’s mainstreamed and just “one of the guys” with his friends in middle school. The bumps are smaller now and I know how to navigate them” … but it probably didn’t seem that way at first. Highly educated parents may have spent years becoming experts in their respective fields, and now they’re “back in school” again, starting at square one learning AV techniques. And what about parents who had a very poor experience with school themselves? Or parents who have limited economic resources and have thus been treated poorly by the medical establishment in the past? What is it like for them to walk into an imposing medical center, deal with jargon (that may be in their second, third, or fourth language), and be made to feel in the “student” position yet again? If we want to help children become good listeners, it starts with us, the therapists. Parents, you are listened to! My care for the families I serve doesn’t end at the end of their appointments. Helping a child with hearing loss learn to listen and talk takes a team, and, as that family’s Auditory Verbal Therapist, part of my job is to go beyond our appointment to provide all-around care, whether it’s consulting with classroom teachers, helping you find an audiologist more willing to program your child’s equipment to the “Gold Standard,” or referring you to resources to help with any number of childhood development concerns. My care goes beyond speech, language, and listening skills, too. I don’t want to produce children who are perfect parrots. Great speech and language is awesome, and makes me feel wonderful as a therapist, but I also care about the whole child, and the whole family’s well-being. Do you need a place to vent, or cry, or cheer (or all three)? Therapy should be a safe, nonjudgmental space to process your feelings about hearing loss. To me, your child and your family are not just points on an audiogram or scores on a standardized test. Parents, you are cared for! Parents, YOU are your child’s first, best, and most important teacher. You have a very important role to play! In Auditory Verbal Therapy, you are an equal member of your child’s therapy team. Your input is important and your participation in therapy is important. Parents, you are important! Success looks different for each child and each family, but I promise I will never give up on you. Together, we will get there. Someday, you will look back at the early days of your child’s hearing loss diagnosis and shake your head in wonder at where you are today. Parents, you will succeed! This entry was posted in Elizabeth Rosenzweig MS CCC-SLP LSLS Cert. AVT and tagged Auditory Verbal Therapy, Parents. Bookmark the permalink. Elizabeth – you’ve done it again! This is beautiful. Thank you for creating these amazing posts. Beautiful. So many parents need to hear this.